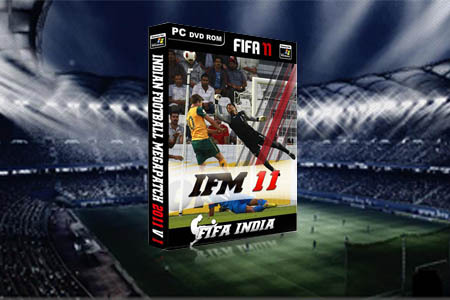 Indian Football Megapatch (also known as IFM 11) for FIFA 11 PC is finally released. Its a chance for all Indian Football Fans to try out the exciting patch which enables you to play with any of the 14 i-League clubs as well as the National Team. This patch is designed by Mayur from Pune. Its nice!!!! Bt if you could have included d Fed cup, durand cup n higher versions like d i-league champ can play AFC cup, dt would have been much more interesting!!! !